Buy books & Mags. Party with publishers. Celebrate independent and international literature. 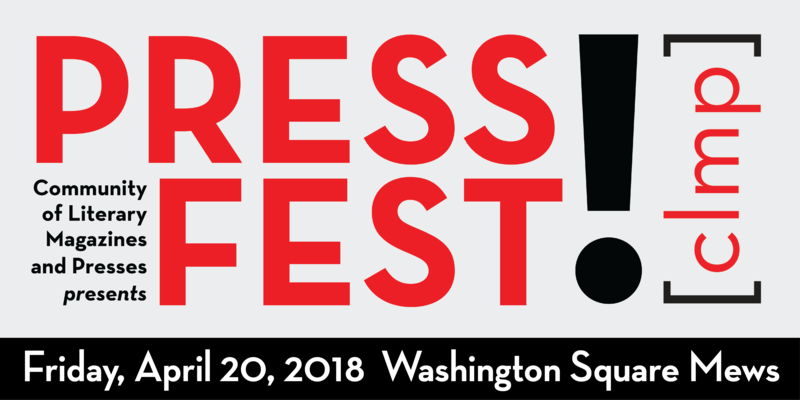 For the third year, CLMP presents Press Fest, a showcase of independent literary magazines and presses, as part of New York City’s PEN World Voices Festival, which is celebrating 15 years of presenting over 1,800 writers and artists from 118 countries speaking 56 languages to over 140,000 audience members. The United States’ only international literature festival with a human rights focus, World Voices was founded by Salman Rushdie, Esther Allen, and Michael Roberts in the aftermath of September 11, 2001, with the aim of fostering cultural dialogue between the United States and the world. This year’s festival takes place May 6 to 12.